« How Often Does Marble Peak Avalanche at Full Path? 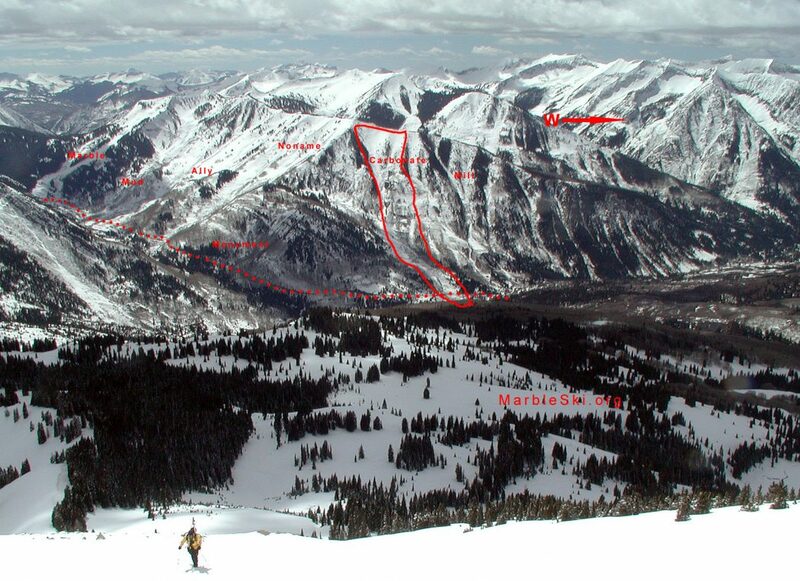 Main avalanche paths on Quarry road. Figured it would be nice having a quick way of pulling up the Schofield Snotel data, so we added a page and a menu item above. The page is here. We created a simplified 48 hour, hourly chart with only snow depths and temperatures. Idea is to speed up your data browsing to you can get out skiing sooner.